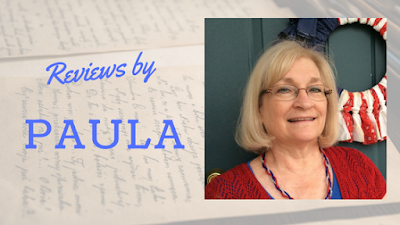 With flowing prose true to the Regency time period, Carolyn Miller pens a tome in the vein of Jane Austen. Set in Gloucestershire and Bath, England in 1816, this novel is reminiscent of Persuasion with it’s estranged hero and heroine. A secret romance, meddling parents, hurt feelings! Will their love die before it has a real chance to grow? Catherine Winthrop’s papa has died leaving a distant cousin, Jonathan Carlew, as the new Baron. Though he is an honorable man, the history between Jon and Catherine puts his character in a questionable light. Is Jon truly doing what is best for the family or just exercising his authority over them? Whose perspective is the correct one? Catherine is trying to put the scriptures into practice by honoring her mother and forgiving the ones she perceives as having wronged her. Likewise, Jonathan’s faith is strong and he is determined to rescue his relatives from a reversal of circumstances brought on by Catherine’s father’s unwise lifestyle. Jon takes his responsibilities as Baron seriously and wants to preserve the family’s legacy. After all, he is an astute businessman. Will society’s expectations prove to be an obstacle? Will Jon and Catherine be able to clear up the past misconceptions and realize, in time, that they were meant to be together? Is there a spark of love still there? Carolyn Miller writes her characters and their situations vey realistically. They are charming, albeit having foibles and strong personalities. 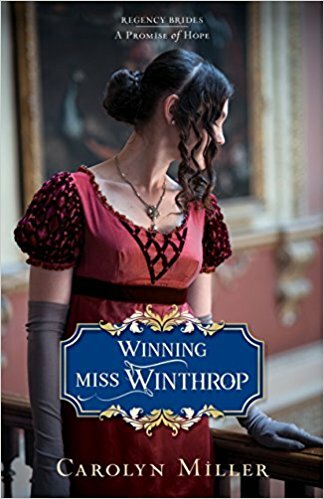 I enjoyed this tale of Regency England immensely and am glad to see Catherine’s sister, Serena, is the subject of the next book in the series. Years ago, the man who stole Catherine Winthrop's heart rejected her--and she's never recovered from the grief. Now tragedy has brought him back into her life. This time it isn't her heart he's taking, it’s her home and her family's good name. Jonathan Carlew's serious demeanor and connection to trade, not to mention the rumors surrounding his birth, have kept him from being a favorite of the ladies, or their parents. Now, suddenly landed and titled, he finds himself with plenty of prospects. But his demanding society responsibilities keep pressing him into service to the one woman who captured his heart long ago--and then ran off with it. Set in the sumptuous salons of Bath, Regency England's royal breeding ground for gossip, Winning Miss Winthrop is the first volume in the Regency Brides: A Promise of Hope series. Fans of the wholesome and richly drawn first series won't want to miss this new set of characters--or appearances by their old favorites. For more about Paula, click here! Thanks, Paula! I need to catch up on this series! It's wonderful to have more regency-set stories available!